This is my first vintage watch for myself. I picked it up at a local antique store. It has some nice, vintage charm, starting with the size, just 34mm diameter. 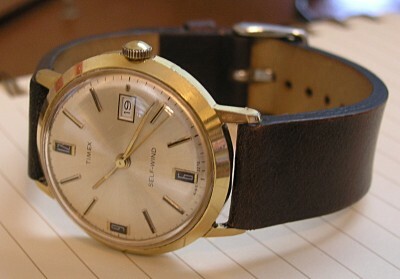 The 3270 on the dial indicates it is caliber 32 from 1970. 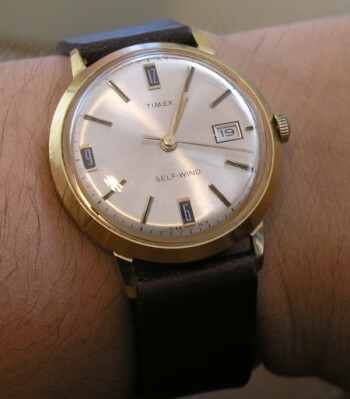 When I got it, it had a funky Speidel Twist-o-Flex band and 4 decades of crud. After about an hour of work and a new band, it really cleaned up nice. It stopped a few times during the first day, but has settled in nicely, keeping very good time for a pin lever watch. I think the lubricants were just a little gummy and needed a little human body warmth to get back to normal. The quality and workmanship is very good for a bargain watch. It hand winds and ‘self-winds’ with a satisfying rattle. The second hand sweeps at a relaxed 18,000 BPH, which is normal for a watch of this time. The crystal is a high domed acrylic, which scratches up pretty easily, but also cleans up nicely as well. Overall, a nice, easy to live with watch. Case: 34mm, base metal, gold plated, water resistant, dust resistant. Back: Stainless Steel, snap on, Timex makers mark, water resistance and dust resistance marks. Movement: Automatic, 3270, 18,000 BPH. Other: Leather band, aftermarket. 17mm lugs. This is where a watchmaker would of marked the last service date. All we see here is CASE, GREAT BRITAIN TIMEX with a stamped 8P70. 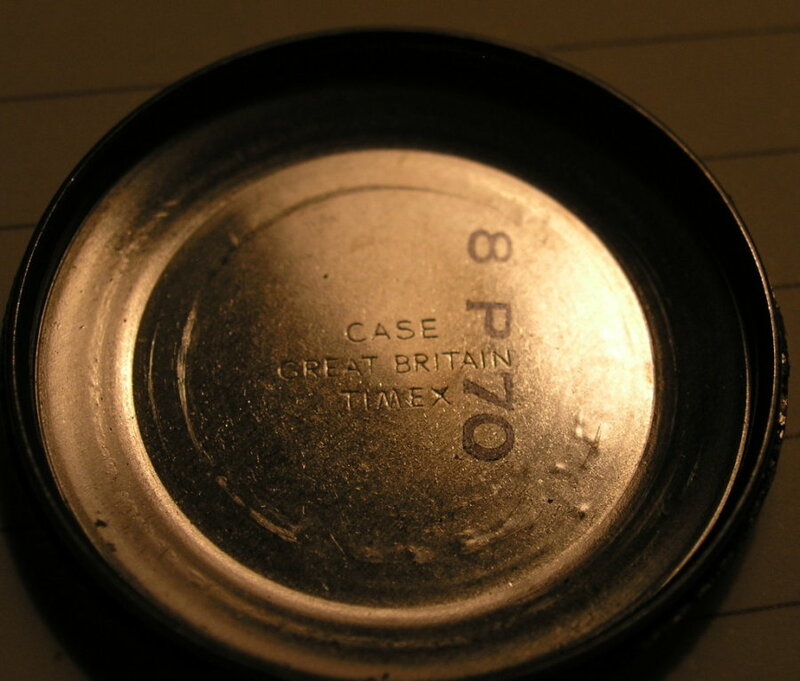 This almost certainly means it was made in August, 1970, in plant “P” or maybe P means PM, night shift. 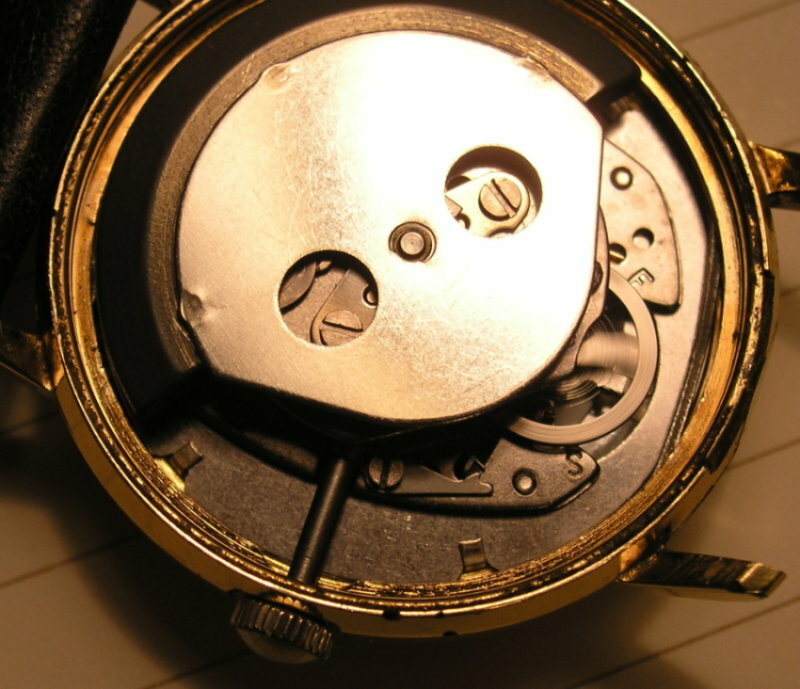 I have read, back in the 50’s through 70’s, the watches were designed in the USA, the cases were made in England or Germany, and the movements came from Hong Kong. 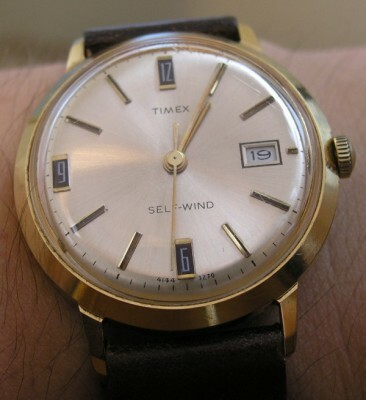 Even now, I am pretty sure Timex is still structured this way. Designed in the USA, movements made in Germany or China, cased in China. They were one of the first “globalized’ companies. 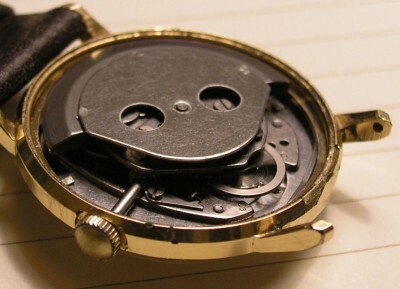 You can also see on the case back scrapes from the automatic winding rotor. Not a huge deal and pretty common on this age/quality movement. Overall, the watch is still running OK. I always carry my cell phone, just in case it dies on me during the day. As a bonus, take look at this site, detailing the heyday of Timex.